If ever there were a picture book which every child should read, this could quite possibly be that book. 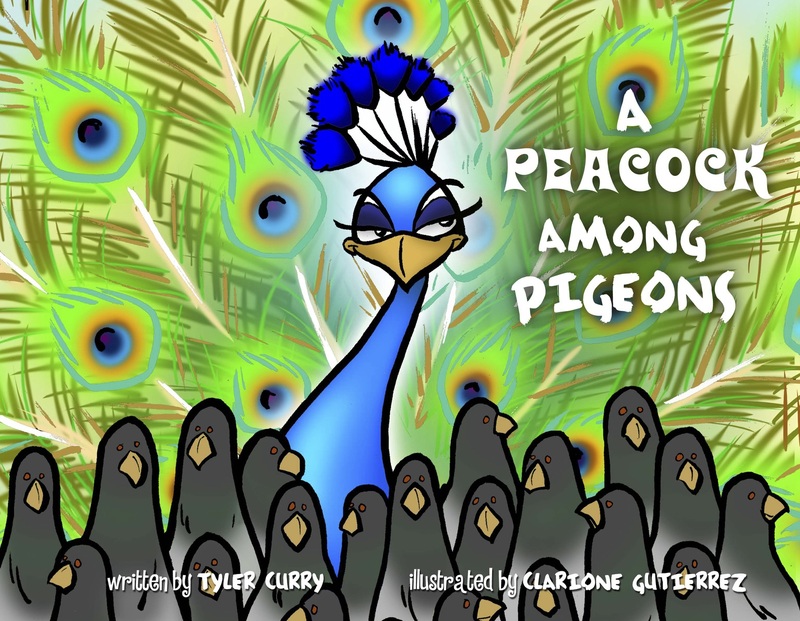 Beautifully written, fancifully illustrated, and truly inspired, A Peacock Among Pigeons teaches children to embrace those qualities which make them unique. Not preachy, or verbose, this book is just straight-forward in a perfectly simplistic way which will enchant young readers and leave them with a smile at the delightfully feel-good ending. Peter is a peacock living with a flock of pigeons. But the pigeons refuse to accept him because he's not like them. They give Peter a hard time for being different, telling him he's strange and doesn't belong. Sadly, Peter comes to believe all the negative things the pigeons say about him until one day he broadens his horizons; and that's when his perspective begins to change. 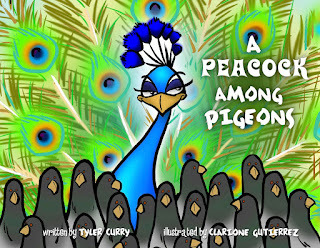 A Peacock Among Pigeons, written by Tyler Curry and illustrated by Clarione Gutierrez, is a literary treasure and highly recommended for home and school libraries.